Lu Pingyuan will be working with CFCCA and Liverpool Biennial 2016 to create this new piece of work which draws upon his trademark elements of narrative and imagination. 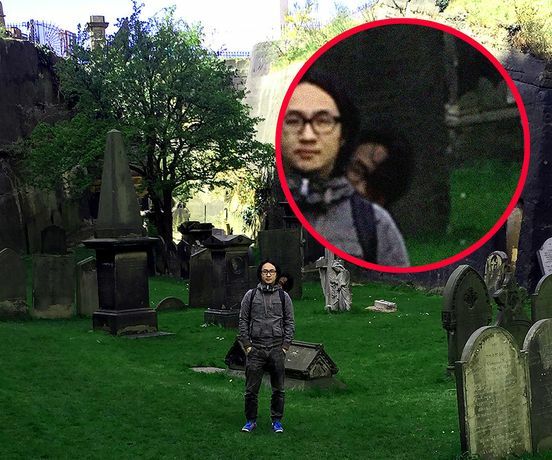 Upon seeing CCTV footage of a ghost reportedly seen by staff in the pub Ye Olde Man and Scythe in Bolton, Shanghai based artist Lu Pingyuan has decided to use his exhibition at CFCCA to catch it. An attempt to ‘take something back’ from the UK in response to that which was lost the UKs colonialist past. The pub, which dates from 1251, is the fourth-oldest pub in Britain and is reputedly haunted by the Seventh Earl of Derby, James Stanley. The royalist, whose family originally owned the inn, is said to have spent the last hours of his life there before he was beheaded in 1651 towards the end of the Civil War. In this exhibition, the artist will use the story as a means of expressing his artistic point of view through the mediums of writing and installation.